Thermotec 2017, held for the seventh time, carries the theme "Thermal Technologies for the Environment and Future." and leading suppliers, users, researchers will gather at Thermotec and develop new business. We will exhibit C/C Composite products (heat treatment etc.) and so on. 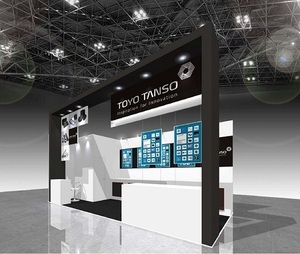 If you need invitation ticket or require meeting with us at exhibition, please contact with us from here.